You may have heard of the Rhodes Scholar program, but do you know what it is? It’s a scholarship which boasts an alumni list of some of the world’s most influential people. By its nature, it attracts conspiracy theories and speculation. Here is an inside look at one of the most prestigious college accolades offered to those who have received the distinction, could certainly raise some eyebrows. Named after a British Businessman, mining magnate, and South African politician, Cecil John Rhodes, the scholarship aims to bring outstanding students from all over the world to study at the University of Oxford in England. Making his fortune in diamond mining operations with the help of financial support from NM Rothschild & Sons, Rhodes would eventually hold the monopoly on the world’s diamond supply. An ardent believer of British Colonialism (Rhodesia was named after him), he set up provisions for the scholarship through his estate that would be awarded annually to individuals whom are committed to others and the “common good, and for their potential for leadership,” according to their website. Since his death in 1902, those who have received the scholarship have gone on to leadership roles in the military, politics, and journalism. Former President of the United States, Clinton has been one of the most influential people in politics the past three decades. In his first term he enacted the Family And Medical Leave Act and Violence Against Women Act as well as key bills relating to crime and gun violence, education, environment, and welfare reform. He also signed the North American Free Trade Act, and was the first to attempt a universal health insurance plan. 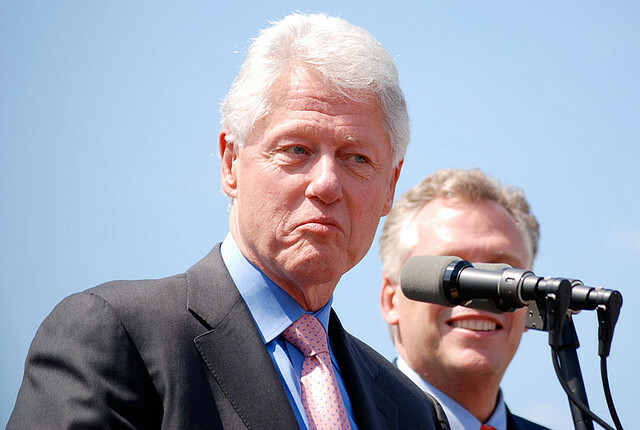 However, his influence is more often eclipsed by his tumultuous affair with one of his interns, Monica Lewinski. Clinton was awarded the Rhodes Scholarship to University College, Oxford where he studied philosophy, politics, and economics, though he did not receive his degree there. He had transferred to Yale Law for his senior year. While attending Oxford, he participated in Vietnam War Protests and organized an October 1969 Moratorium to End the War in Vietnam event. He also received draft deferments while a student, but was concerned about losing them when attending law school at Yale. Clinton’s political opponents charge that he dodged military service. Ideologically Clinton was a New Democrat, which was reflected through policies as a centrist Third Way philosophy of governance. He would serve as Governor of Arkansas from 1979-1981, the State’s Attorney General from 1977-1979, and the 42nd President of the United States from 1993-2001.